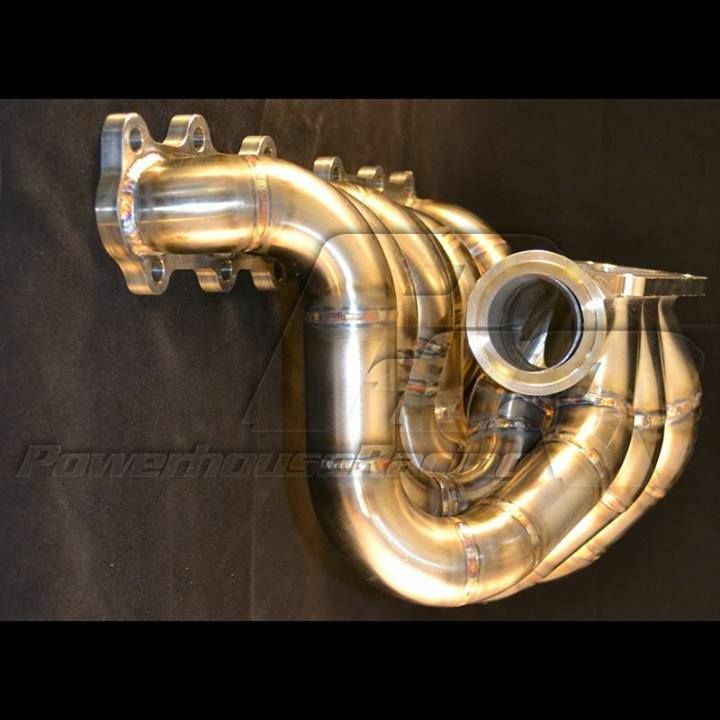 PHR PowerHouse Racing Turbo Kits, Manifolds, Components, and Parts - PHR S45 Billet Collector 2JZGTE Supra Turbo T4 Manifold!! We've worked with PHR for a number of years back in their formative days and within the past couple of years we've reignited our mutual passion for providing amazing PHR products to our global customer base. SupraStore.com is an official supplier of PHR products. The question is why buy from us? Simple. We know this industry like few companies do with out staff owning 7M, 1JZ, 2JZ, and even Lexus V8 powered vehicles. We have a unique service first insight. Along the way we save you some of your hard earned dollars, as we typically sell less than the supplier themselves and we service all we sell. Our staff are available 6 days a week, 18 hours a day via email, instant message, chat and telephone. Why buy PHR from SupraStore.com? Amazing service, support and lower pricing than the manufacturer themselves. 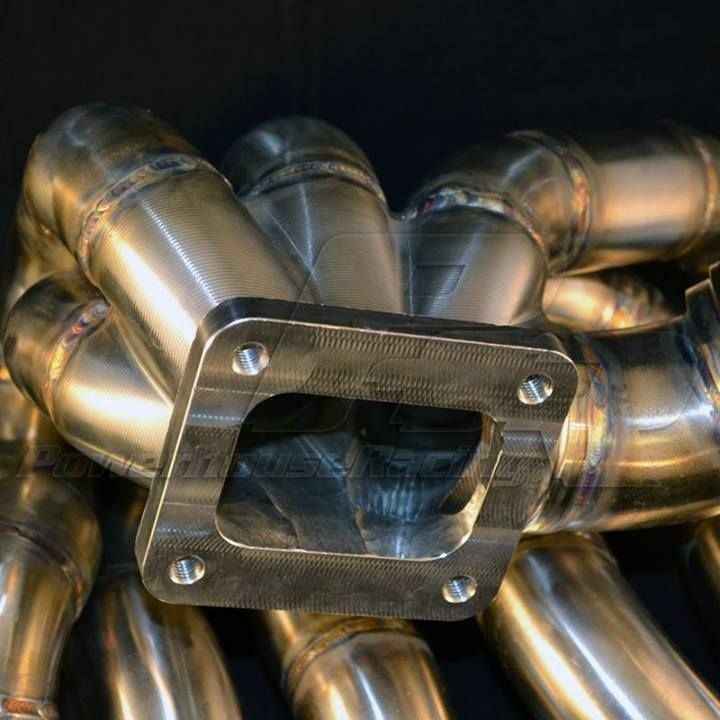 This new S45 billet collector manifold is without a doubt the best manifold we have seen yet for the 2JZ Supra. It's a work of art, performance designed with fitments for all T4 turbo combinations and comes in both single and dual gate versions in both 6:1 and Divided (single scroll and dual scroll) designs. These are typically built to order, so expect a 2-3 week lead time, which allows you to plan your project accordingly. 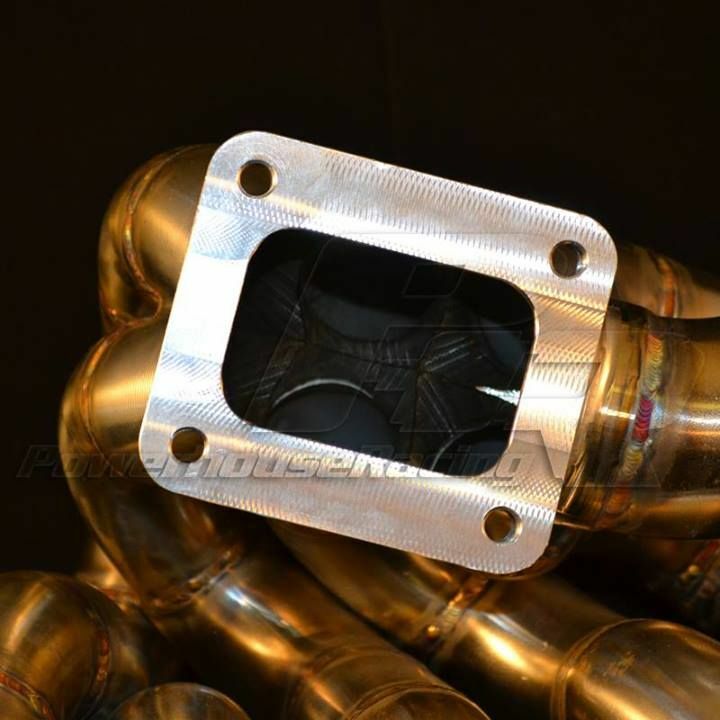 NOW FEATURING THE PHR EXCLUSIVE BILLET COLLECTOR! First: Ease of installation. - Don't spend years trying to get your manifold to fit, only to have it come loose again. Those with the experience have bloodied enough knuckles, and ground down enough nuts to know how important this is. Second: Fitment. 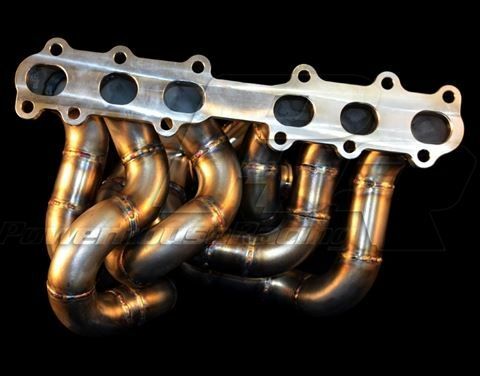 - This manifold is hands down the best fitting manifold on the planet. 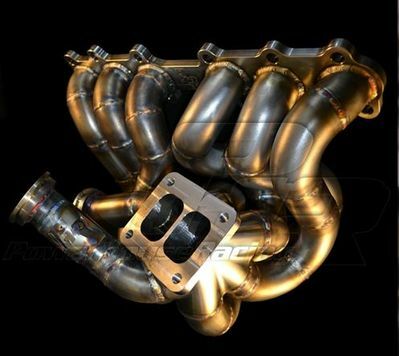 Not only does this manifold fit in the car the way it should, it fits EVERY T4 turbo available. From the baby T4's to the massive Precision 8285. Even with the H cover this turbo fits under the stock hood, away from the shock tower and you can even run it WITH a spool valve. Nobody else can claim this. Nobody else is even close. Third: Maximum Performance. - We put our manifold up the the most well known and top notch manifolds in the world and blow their doors off! 2JZ-GE fitment: **Note** To fit with the distributor on early generation GE motors the turbo location changes. 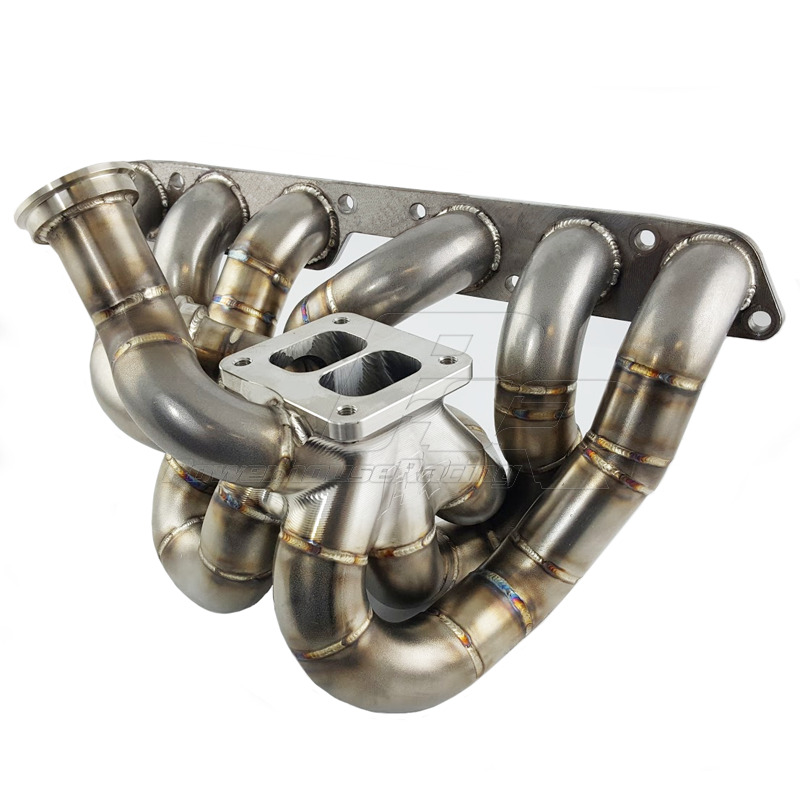 Our manifold will still accommodate up to a GT42/PTE 8685 Sportsman Cover. This will also require a distributor cap delete and coil on plug conversion. 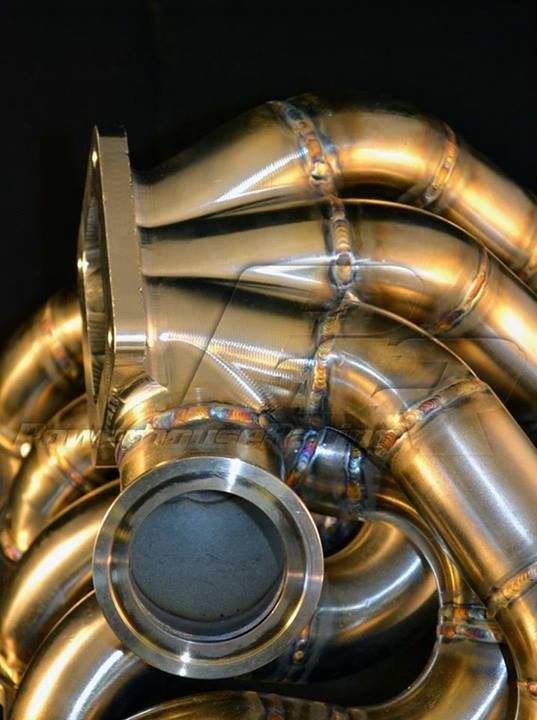 Simplifying some of the struggles NA-T guys have fought when building a quality turbo kit with larger turbos. Make sure to choose the right location for your setup. 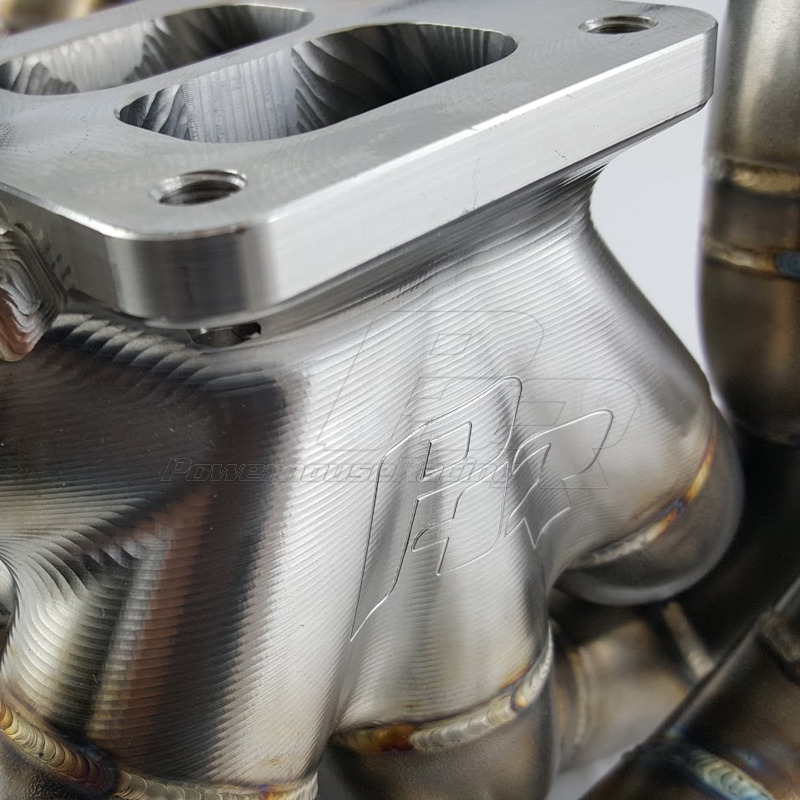 4.The manifold uses any waste gate available and any variety of sizes and needs for each customer (more personal build) other name brand manifolds waste gate assemblies have Fallen off over time! 7. 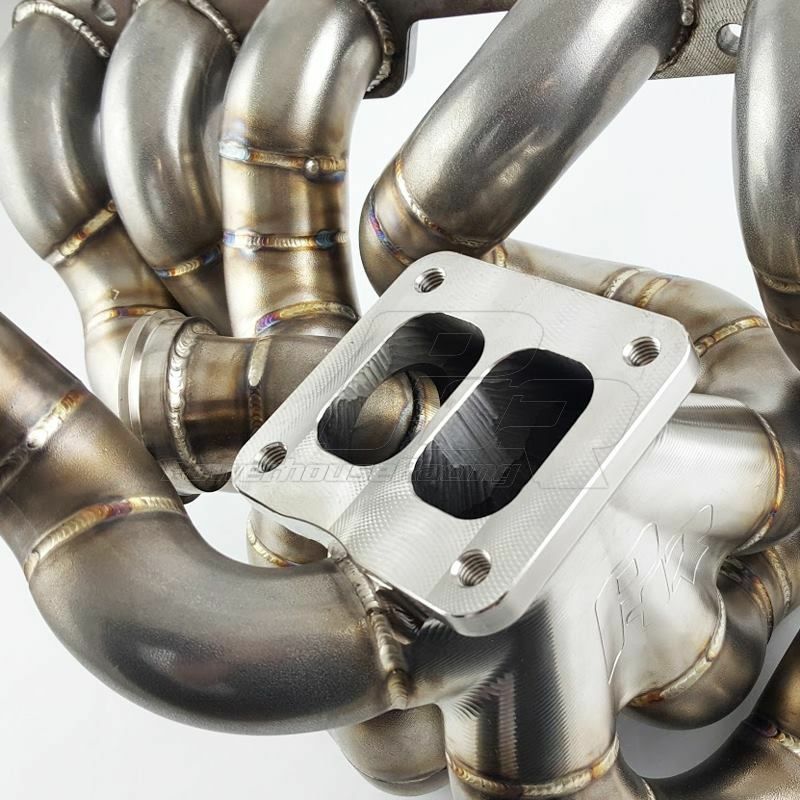 They will clear ANY turbo up to an GT45\80 with maximum clearance allowed from valve cover, hood, strut tower, and water neck. 8. Not only can you fit any turbo, you can fit it WITH a spool valve, even on the gt45/80 which no other manifold on the planet can. 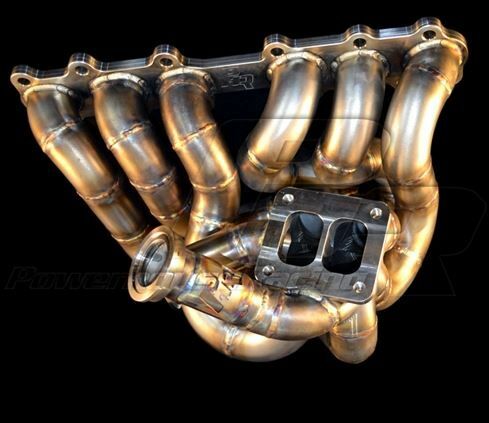 Our manifolds are hand built in-house by some of the best fabricators on the planet. Pain-staking detail is taken in every inch of these works of art. We'll put our workup against anybody on the planet. You won't find one better. We've been doing it longer and we've been doing it better. We have the experience that nobody else does. And our manifolds are backed by 20 years of proven performance.